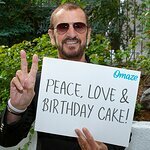 Ringo Starr wants you to see him perform live at The Pearl at Palms Casino Resort in Las Vegas, Nevada on March 15, 2015 – and he wants to meet you too! A new charity auction is giving you this once-in-a-lifetime chance to raise money for the David Lynch Foundation, an organization established by David Lynch that raises funds to teach evidence-based, stress-reducing meditation techniques to at-risk populations, including inner-city youth, veterans, and women who are survivors of domestic violence. 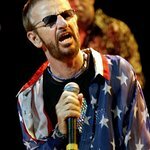 Ringo Starr’s All Starr Band features Steve Lukather, Richard Page, Gregg Rolie, Todd Rundgren and Gregg Bissonette. This auction ends TODAY – for a closer look, click here.